 The site for this activity is near a closed coal mine on Lutherlyn's property. As in much of PA, the mine was not sealed properly and the result is constant pollution that threatens life in the nearby stream. A passive treatment system has been installed to remove the pollution and students use water testing kits to investigate the chemistry of the mine water as it passes through the system. The site is reached by bus or by a 1½-mile hike. The hike can be done in conjunction with a historic investigation of the Semiconon Valley. Students explore the food chain of a pond ecosystem learning about producers, consumers (herbivores, carnivores, and omnivores), and decomposers. 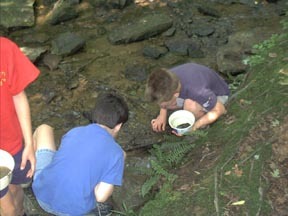 This activity is usually done in conjunction with the Pond Study or Stream Investigation, but can be used on its own. Through the use of microscopes, students investigate the tiny creatures that inhabit aquatic environments. Common organisms include algae, ostracods, copepods, scuds, daphnia, and insects. The aquatic environment is explored as students learn about food chains/food webs and collect specimens of pond life. Time is taken to focus on adaptations of aquatic organisms. Microscopes may also be used, if time (1¼ hours or more) and weather permit. Students use math and measurement skills to calculate the amount of water that flows down a stream on a given day. This activity is often done as an extension of the Stream Investigation. Students collect and study specimens from a moving water environment. The organisms found are then used to determine the health of this habitat. If the students have also participated in the Pond Study, they compare the adaptations of aquatic organisms from moving versus standing bodies of water. Students discover the many ways molecules move through the water cycle and the forces that make it all happen. They explore the water cycle and watershed concepts during several activities. If time permits, a hike to a natural spring and a stream valley is included. Students take water samples from a stream, pond or both and use chemical testing kits to determine levels of acidity, alkalinity, dissolved oxygen, nitrogen, phosphates and pH. They then discuss the environmental or human factors causing their results and the effects these chemicals could have on organisms living in the water.